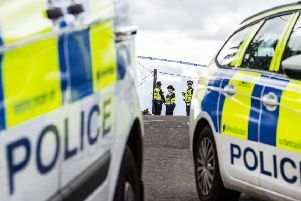 Police Scotland has arrested a 28-year-old man in connection with a series of armed robberies. The Post Office in Linlithgow’s High Street was robbed at around 11.25am on Monday. Another three raids then took place in Fife post offices – in Burntisland, Cowdenbeath and Kincardine. Officers were then alerted to a third incident at Nicky’s Licensed Grocers in Elphinstone Street, Kincardine which occured around 2.15pm.